You take that one last glance in the mirror as you head out the door – clothes and shoes look great together; makeup is killer and your hair looks fabulous! You’ve got it all covered. Right? Not.Quite.Yet. Consider how the right jewelry can bring that extra layer of fashion to your look. The key to success with every outfit is to control where the “eye” goes. The goal is to keep the focus on “you” – your outfit and your jewelry choices play key roles in creating an effect that is not overpowering and allows the real you to shine through! Wear one statement piece so you avoid having pieces competing with each other for attention. This can be a large necklace, large earrings, a selection of bracelets. Decide which piece will be the focal point of your jewelry and then be conscious about what other pieces you are wearing with it. Think about how size and closeness matters! If you have large dangly earrings, don’t wear a large necklace that sits high on your neck. Opt for a small pendant chain to achieve balance. Similarly, if you have a large necklace, then stud earrings can be a good choice to keep the pieces from competing with other for attention. You don’t have to worry about mixing metals anymore! Rose gold, gold, silver, white gold – it no longer has to match! Especially with bracelets, you can dress up your look with different metals and different widths. And don’t be afraid to add a colorful woven bracelet to create a more unique look. But, it’s also important to select jewelry metals and gemstones that illuminate your natural skin tone. If bracelets aren’t your passion, ring stacking has become a larger trend over the last few years. Wear stackable rings on one finger or one ring each on several fingers. The key is to keep the look cohesive without being too “matchy”. Many times, using thin delicate rings can keep the stack from becoming too busy. Don’t be afraid to consider that, with ring-stacking, less is more. Magazines and online articles are filled with ideas to move your daytime look to nighttime without having to head home to change first. Let jewelry help you complete that effect! Jewelry you might usually wear for work generally has less details and sparkles. Preparing to go out for an evening event? Switch to a high-detail piece with lots of shine and sparkles. Just as you might freshen your makeup look as you move from your work day to a night out with friends, keep a small packet of your nighttime jewelry in a cosmetic-sized toiletry bag and take the few minutes to switch out your jewelry accessories. You might be surprised at the difference it makes! Fashion Nova offers all sorts of accessories, including jewelry! Remember to use my code XoMismmo for a special discount! Even though much of the country is battling to actual “find” Spring weather, it’s clear that Spring fashions are here! I almost think we could predict bright colors for Spring every year, and this year is no exception! There are few neutrals here – bright palettes and deep hues of color are the rule. 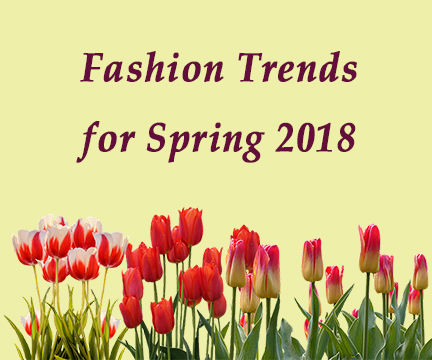 The other big trend for Spring 2018 is what I can only call “fancy pants”! Patterns on pants, jeans. Some designers have even “bejeweled” their pant creations to make them more acceptable for that high society event. When you buy from Fashion Nova, remember to use my code XoMismmo for a special discount!